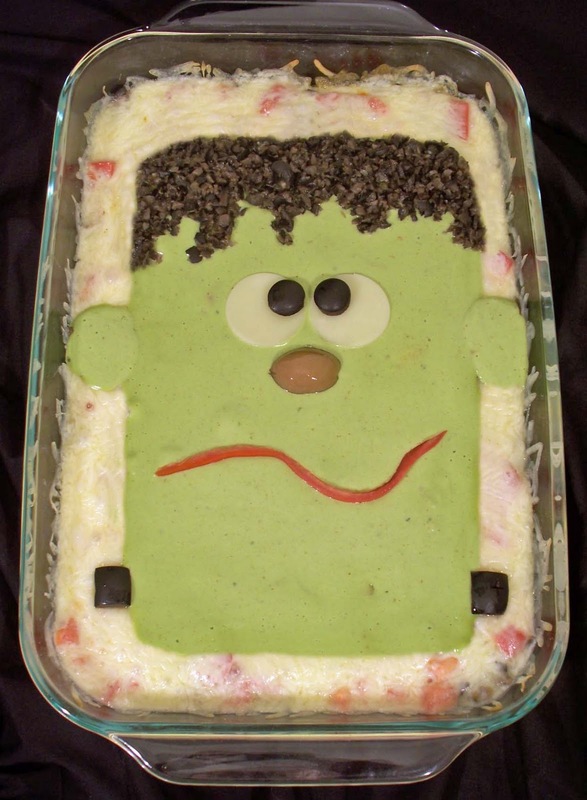 Hungry Halloween: My Halloween recipe contest entries. My Halloween recipe contest entries. 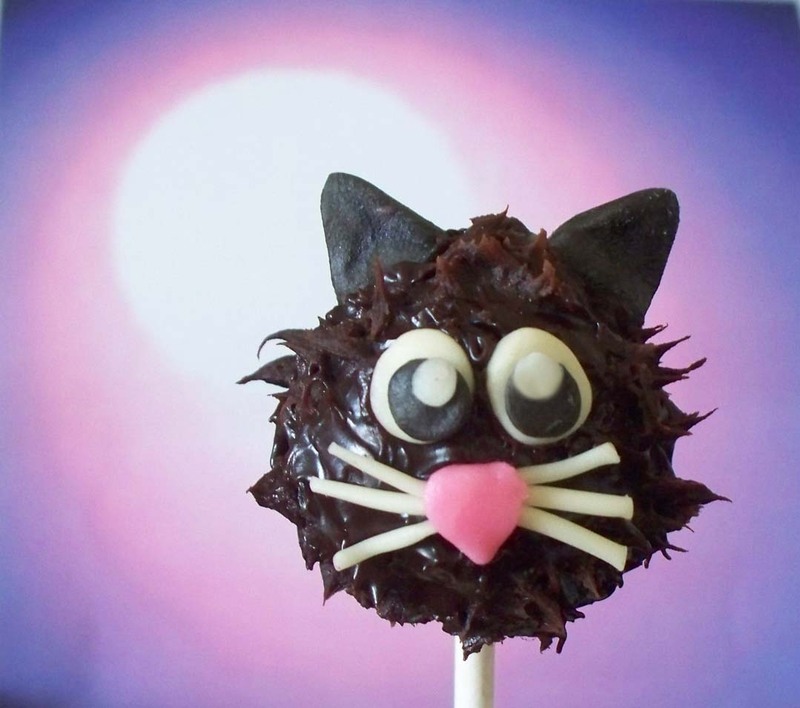 This cutie pop was entered into Food52's Your Best Halloween treat contest. I created this cat pop from chocolate ganache and modeling chocolate. It tastes as good as it looks. Click here for recipe. Once again, I'll post this recipe soon if I don't make it into the finals. If I do, I'll need votes! You will see a theme going through my recipes this week: cats and monsters. I thought the first two recipes looked so great as sweets that I transformed them into savory recipes for Better Homes and Garden's Better Recipes Halloween recipe contest. There is no voting involved with this contest, but I can't publish the recipe yet. So, click here to view recipe. 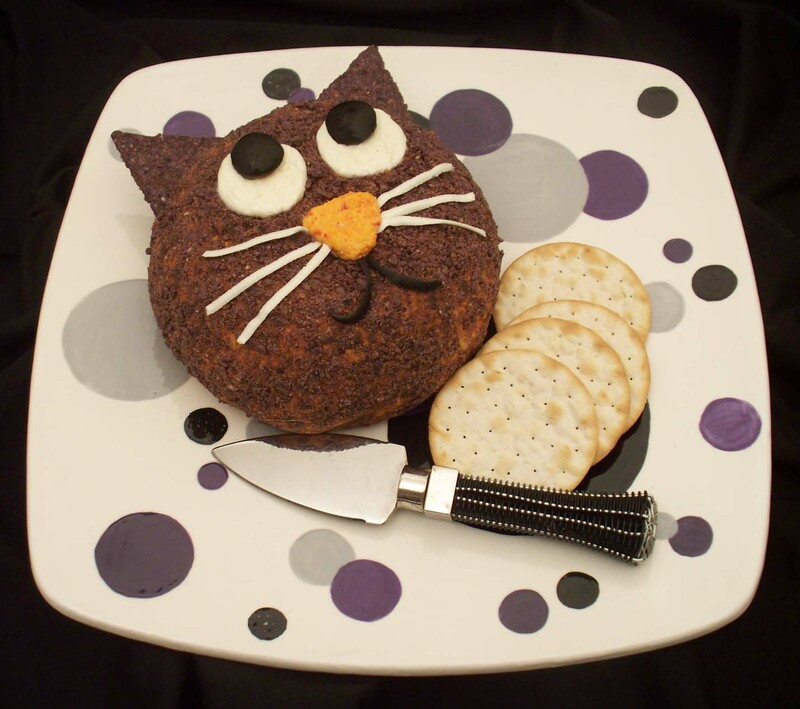 This charming cat is a yummy roasted red pepper cheese-ball. Click here for recipe. It is decorated with cream cheese and olives. Even if you don't want to make a cat, this recipe is worth trying. It is delicious. So you can see here how I transformed my Sweet Green Monster into a savory taco dip with a similar Frankenstein 's monster image. I decorated the image with green guacamole, olive hair, cheese and black olive eyes, a green olive nose, a tomato strip smile, and black olive bolts. A few simple changes and you have a completely different recipe. Click here for recipes. I'll let you know how I fare in each of these contests. Wish me luck!